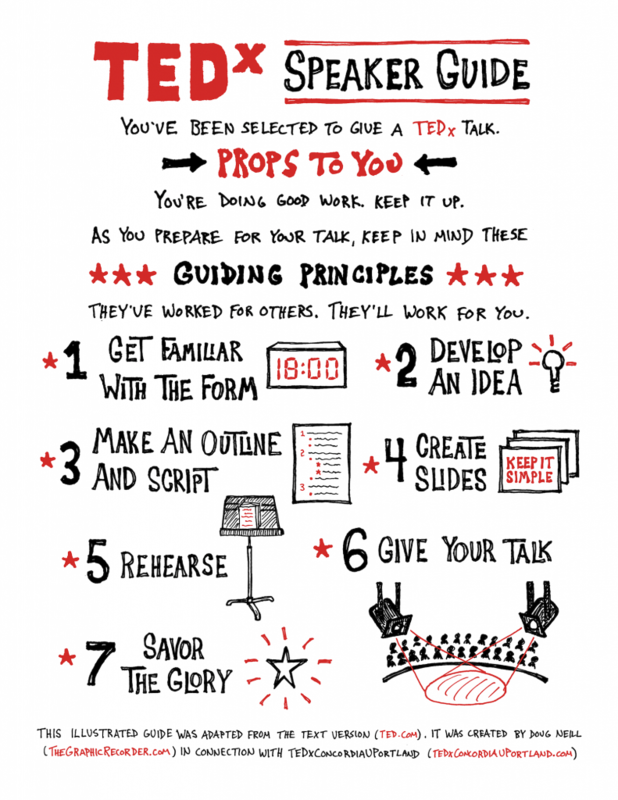 This year I’m on the planning team for the 2014 TEDxConcordiaUPortland event, and I recently had the pleasure of putting together an illustrated version of a guide designed to prepare speakers to give their talk on the big day. Check out the full story here. Click here to check out the full illustrated guide.